“Poly-GP in cerebrospinal fluid links C9orf72-associated dipeptide repeat expression to the asymptomatic phase of ALS/FTD” has been published in the journal EMBO Molecular Medicine. This work was supported in part by JPND through the SOPHIA project, selected in the 2011 Biomarkers call, the BIOMARKAPD project, selected in the 2011 Biomarkers call, the PreFrontAls project, selected in the 2013 Preventive Strategies call, and the STRENGTH project, selected in the 2012 Risk Factors call. This entry was posted in JPND Publications on April 21, 2017 by jpnd. There is growing evidence showing a connection between Parkinson’s disease and the composition of the microbiome of the gut. A new study shows that Parkinson’s disease, and medications to treat Parkinson’s, have distinct effects on the composition of the trillions of bacteria that make up the gut microbiome. The findings were published in Movement Disorders. The study, which looked at 197 patients with Parkinson’s and 130 controls, indicated that Parkinson’s is accompanied by imbalance in the gut microbiome, with some species of bacteria present in larger numbers than in healthy individuals and other species diminished. Different medications used to treat Parkinson’s also appeared to affect the composition of the microbiome in different ways. At this point, researchers do not know which comes first: Does having Parkinson’s cause changes in an individual’s gut microbiome, or are changes in the microbiome a predictor or early warning sign of Parkinson’s? What is known is that the first signs of Parkinson’s often arise as gastrointestinal symptoms such as inflammation or constipation. One function of the microbiome is to help the body rid itself of xenobiotics — chemicals not naturally found in the body often arising from environmental pollutants. The study found evidence that the composition of bacteria responsible for removing those chemicals was different in individuals with Parkinson’s. This may be relevant because exposure to pesticides and herbicides in agricultural settings is known to increase the risk of developing Parkinson’s. The researchers stress that the study of the microbiome is a relatively new field, and a better understanding of macrobiotics may provide unexpected answers for Parkinson’s disease and potentially other disorders. Reprinted from materials provided by University of Alabama Birmingham. This entry was posted in Research News (General) on April 21, 2017 by jpnd. “Derivation of Human Midbrain-Specific Organoids from Neuroepithelial Stem Cells” has been published in the journal Stem Cell Reports. This work was supported in part by JPND through the 3DPD project, selected in the 2015 JPco-fuND call. This entry was posted in JPND Publications on April 20, 2017 by jpnd. In experiments with a protein called Ephexin5 that appears to be elevated in the brain cells of Alzheimer’s disease patients and mouse models of the disease, researchers say removing it prevents animals from developing Alzheimer’s characteristic memory losses. In a report on the studies, published in The Journal of Clinical Investigation, the researchers say the findings could eventually advance development of drugs that target Ephexin5 to prevent or treat symptoms of the disorder. The work with Ephexin5 grew out of a paradox about one of Alzheimer’s disease’s defining features, the development of thick plaques in the brain composed of a protein called amyloid beta. Stemming the production of this protein is currently the major focus of efforts to develop new Alzheimer’s treatments, but it isn’t the amount of amyloid beta in patients’ brains that correlates best with the severity of symptoms; rather, it’s the loss of so-called excitatory synapses, a type of cellular structure forged between two brain cells. Although it’s not clear how amyloid beta and excitatory synapse loss are connected, researchers showed several years ago that Alzheimer’s patients have decreased brain levels of a protein called EphB2. Ephexin5 is a protein regulated by EphB2 and thought to be responsible for inhibiting the development of dendritic spines, small protrusions on the ends of nerve cells that are the location for most excitatory synapses. In this study, the researchers used genetic engineering techniques that knocked out the gene that makes Ephexin5, thereby developing mouse Alzheimer’s disease models whose brain cells could not produce the protein. Although the animals still developed the characteristic Alzheimer’s amyloid plaques, they didn’t lose excitatory synapses, retaining the same number as healthy animals as they aged. To see whether this retention of excitatory synapses in turn affected behavior related to memory tasks, the researchers trained healthy mice, mouse models of Alzheimer’s and Alzheimer’s models genetically engineered to lack Ephexin5 in two learning tasks: one that involved the ability to distinguish objects that had moved upon subsequent visits to the same chamber, and another that involved the ability to avoid chambers where they’d previously received a small electric shock. While the typical Alzheimer’s disease model mice appeared unable to remember the moved objects or the shocks, the Alzheimer’s animals genetically engineered to be Ephexin5-free performed as well as healthy animals on the two tasks. To better reflect the human scenario, in which the brain is exposed to amyloid beta for some time, probably decades, before any treatments might be administered, the researchers raised mouse models for Alzheimer’s disease into adulthood — allowing their brains to be exposed to excess amyloid beta for weeks — before injecting their brains with a short piece of genetic material that shut down Ephexin5 production. These mice performed just as well on the memory tasks as the healthy mice and those genetically engineered to produce no Ephexin5. Together, these results suggest that too much Ephexin5 triggered by amyloid beta and reduced EphB2 signaling might be the reason why Alzheimer’s disease patients gradually lose their excitatory synapses, leading to memory loss — and that shutting down Ephexin5 production could slow or halt the disease. Reprinted from materials provided by Johns Hopkins. This entry was posted in Research News (General) on April 20, 2017 by jpnd. “Motor neuron vulnerability and resistance in amyotrophic lateral sclerosis” has been published in the journal Acta Neuropathologica. This work has been supported in part by JPND through the DAMNDPATHS project, selected in the 2013 Cross-Disease Analysis call. This entry was posted in JPND Publications on April 19, 2017 by jpnd. Researchers have identified early biomarkers of Huntington’s disease (HD) during examinations of HD sheep still at a pre-symptomatic stage of the disease. Up until this point, the five-year-old HD sheep displayed no signs of the illness, but this comprehensive study identified clear metabolic changes in the affected animals. These new findings reveal that Huntington’s disease affects important metabolic processes in the body prior to the appearance of physical symptoms. During this study, blood samples were taken from normal and HD animals every two hours over a 24-hour period and their metabolic profiles assessed using a targeted metabolomics approach. Unlike previous research in this area, which was affected by external environmental factors that impacted upon metabolic profiling, sheep in this study were monitored in a well-controlled setting, negating any outside influences. Blood measurements found startling differences in the biochemistry of the sheep carrying the HD gene, compared to the normal sheep. Significant changes were observed in 89 of the 130 metabolites measured in their blood, with increased levels of the amino acids, arginine and citrulline, and decreases in sphingolipids and fatty acids that are commonly found in brain and nervous tissue. The alterations in these metabolites, which include key components of the urea cycle and nitric oxide pathways (both vital body processes), suggest that both of these processes are dysregulated in the early stages of Huntington’s disease, and that the illness affects the body long before physical symptoms appear. Reprinted from materials provided by University of Surrey. This entry was posted in Research News (General) on April 19, 2017 by jpnd. “Integrated molecular landscape of Parkinson’s disease” has been published in the journal NPJ Parkinson’s Disease. This work has been supported in part by JPND through the COURAGE-PD project, selected in the 2012 risk factors call. This entry was posted in JPND Publications on April 18, 2017 by jpnd. Scientists have identified a mechanism in the molecular machinery of the cell that could help explain how neurons begin to falter in the initial stages of Alzheimer’s disease, even before amyloid clumps appear. This hypothesis centers on human genes critical for the healthy functioning of mitochondria, the energy factories of the cell, which are riddled with mobile chunks of DNA called Alu elements. 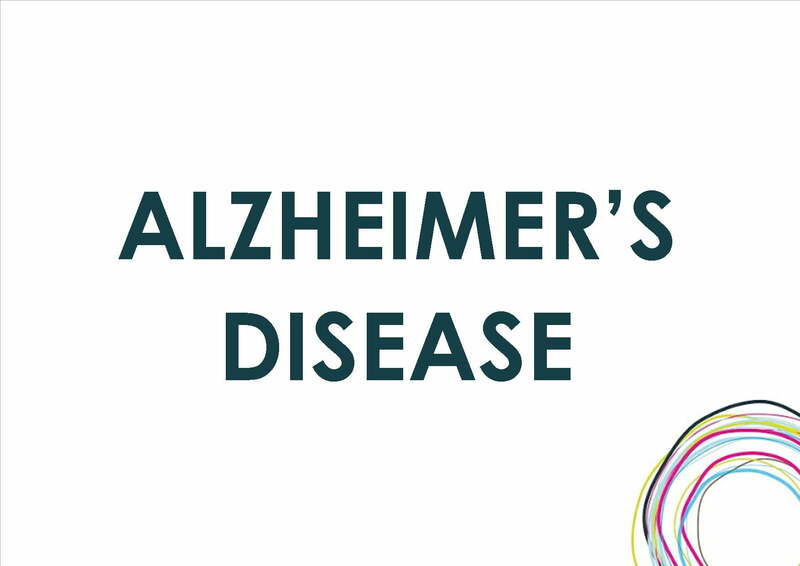 The researchers describe their work in a paper published online in Alzheimer’s & Dementia. If these “jumping genes” lose their normal controls as a person ages, they could start to wreak havoc on the machinery that supplies energy to brain cells — leading to a loss of neurons and ultimately dementia. And if this “Alu neurodegeneration hypothesis” holds up, it could help identify people at risk sooner, before they develop symptoms, or point to new ways to delay onset or slow progression of the disease. The dominant idea guiding Alzheimer’s research for 25 years has been that the disease results from the abnormal buildup of hard, waxy amyloid plaques in the parts of the brain that control memory. But drug trials using anti-amyloid drugs have failed, leading some researchers to theorize that amyloid buildup is a byproduct of the disease, not a cause. This study builds on an alternative hypothesis. First proposed in 2004, the “mitochondrial cascade hypothesis” posits that changes in the cellular powerhouses, not amyloid buildup, are what cause neurons to die. Most mitochondrial proteins are encoded by genes in the cell nucleus before reaching their final destination in mitochondria. In 2009, neurologists identified a non-coding region in a gene called TOMM40 that varies in length. The team of researchers found that the length of this region can help predict a person’s Alzheimer’s risk and age of onset. They wondered if the length variation in TOMM40 was only part of the equation. The researchers analysed the corresponding gene region in gray mouse lemurs, teacup-sized primates known to develop amyloid brain plaques and other Alzheimer’s-like symptoms with age. They found that in mouse lemurs alone, but not other lemur species, the region is loaded with short stretches of DNA called Alus. Found only in primates, Alus belong to a family of retrotransposons or “jumping genes,” which copy and paste themselves in new spots in the genome. If the Alu copies present within the TOMM40 gene somehow interfere with the path from gene to protein, the scientists could help explain why mitochondria in nerve cells stop working. The TOMM40 gene encodes a barrel-shaped protein in the outer membrane of mitochondria that forms a channel for molecules — including the precursor to amyloid — to enter. The scientists used 3D modeling to show that Alu insertions within the TOMM40 gene could make the channel protein it encodes fold into the wrong shape, causing the mitochondria’s import machinery to clog and stop working. The researchers say that such processes likely get underway before amyloid builds up, so they could point to new or repurposed drugs for earlier intervention. The TOMM40 gene is one example, but if Alus disrupt other mitochondrial genes, the same basic mechanism could help explain the initial stages of other neurodegenerative diseases too, including Parkinson’s disease, Huntington’s disease and amyotrophic lateral sclerosis (ALS). Reprinted from materials provided by Duke. This entry was posted in Research News (General) on April 18, 2017 by jpnd. “APP, PSEN1, and PSEN2 mutations in early-onset Alzheimer disease: A genetic screening study of familial and sporadic cases” has been published in the journal PLOS Medicine. This work was supported in part by JPND through the PERADES project, selected in the 2012 risk factors call. This entry was posted in JPND Publications on April 14, 2017 by jpnd. Researchers have shown for the first time that Amyotrophic Lateral Sclerosis (ALS) and schizophrenia have a shared genetic origin, indicating that the causes of these diverse conditions are biologically linked. The work was published in Nature Communications. By analyzing the genetic profiles of almost 13,000 ALS cases and over 30,000 schizophrenia cases, the research confirms that many of the genes that are associated with these two very different conditions are the same. In fact, the research has shown an overlap of 14% in genetic susceptibility to the adult onset neuro-degeneration condition ALS and the developmental neuropsychiatric disorder schizophrenia. While overlaps between schizophrenia and other neuropsychiatric conditions including bipolar affective disorder and autism have been shown in the past, this is the first time that an overlap in genetic susceptibility between ALS and psychiatric conditions has been shown. The research was prompted by earlier epidemiological studies that showed that people with ALS were more likely than expected to have other family members with schizophrenia, and to have had another family member who had committed suicide. The researchers say that they will continue to study the links between ALS and psychiatric conditions using modern genetics, epidemiology and neuroimaging, and in this way will develop new and more effective treatments that are based on stabilizing disrupted brain networks. Reprinted from materials provided by Trinity College Dublin. This entry was posted in Research News (General) on April 14, 2017 by jpnd.